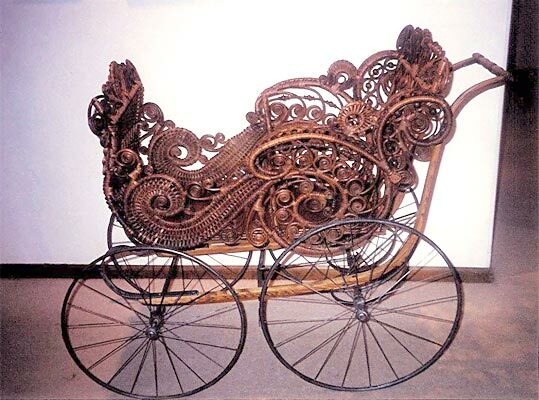 (1) ❤︎ THIS VICTORIAN CARRIAGE 1880’S WOOD–REED WICKER CAME IN FOR REPAIR IN 8 PIECES. ❤︎ WE DID MAJOR SURGERY!! 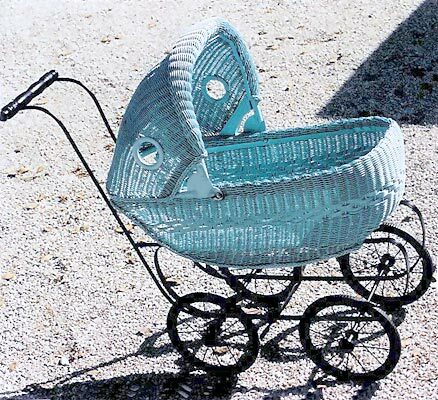 (2) ❤︎ SPAGHETTI–LOOM WICKER CHILD’S BUGGY. FRAME REPAIR AND PAINTED TO IT’S ORIGINAL COLOR. 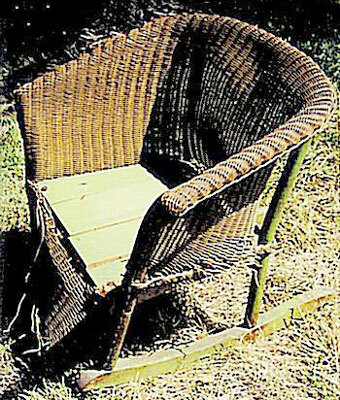 (3) ❤︎ SQUARE BACK ROCKER, FIBRE–PAPER WICKER. WE HAD TO RE-DO THE WHOLE BACK, AND RE-TIE THE SPRINGS. 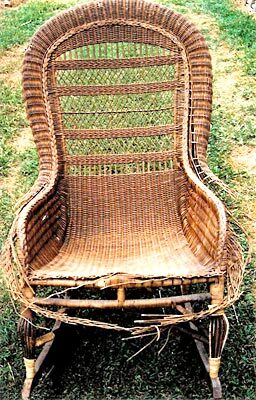 (4) ❤︎ VICTORIAN ROCKER WOOD/REED. 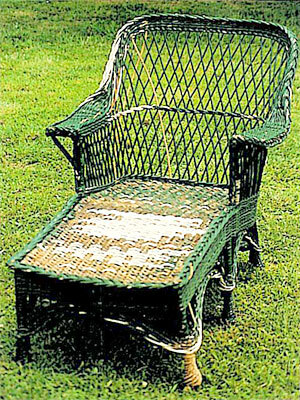 SERPENTINE FULL ROLL RESTORED, ALONG WITH BIRD CAGE LEGS AND MISC. OTHER WEAVE REPAIR. 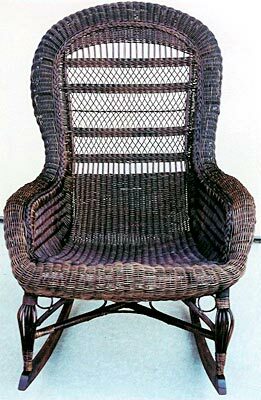 CUSTOMER REQUESTED IT BE STAINED DARKER TO MATCH OTHER WICKER ITEMS SHE HAD. 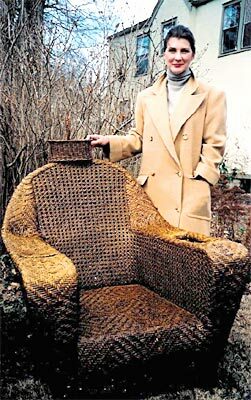 (5) ❤︎A PAINTED CANE WICKER CHAIR MADE TO LOOK NATURAL WITH OUR GLAZING PROCESS. (6)❤︎ NAT’L GLAZED PINEAPPLE LEG/FOOT, CANE CHAIR. 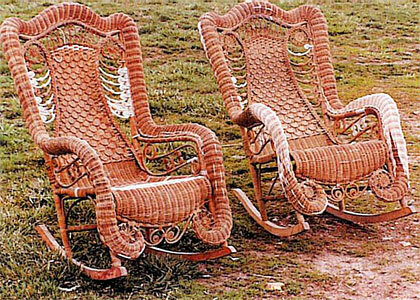 (7) ❤︎ OLD BAR HARBOR CHAISE, WOOD–REED WICKER. SKIRT WEAVE AND DOUBLE SERIES RESTORED. 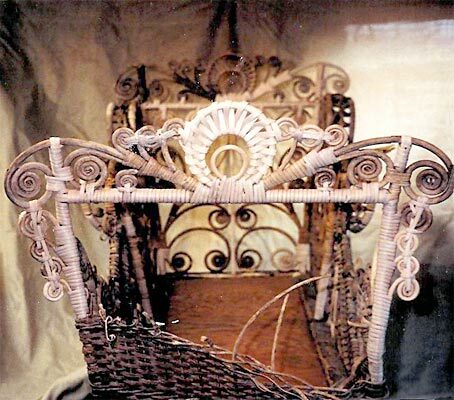 (8) ❤︎ VICTORIAN CHAIR, WOOD-REED WICKER. STAR OF DAVID WEAVE IN BACK. 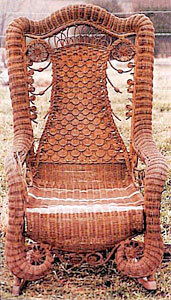 WHEN NEEDED WE CAN RE-WEAVE. 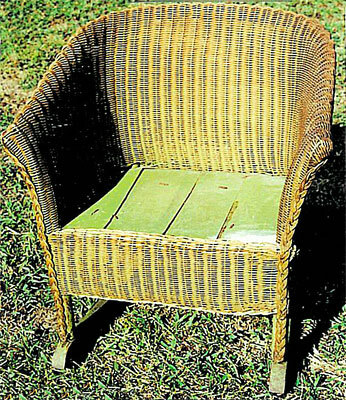 THE LOOP WEAVE AND CANE WRAP WAS RE-WOVEN. 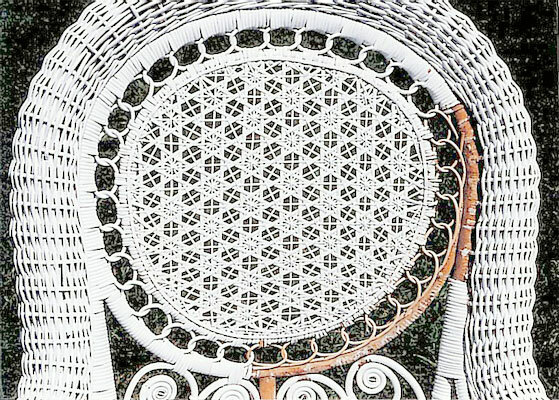 (9) ❤︎ CHILD’S SPAGHETTI–LLOYD LOOM WICKER ROCKER. 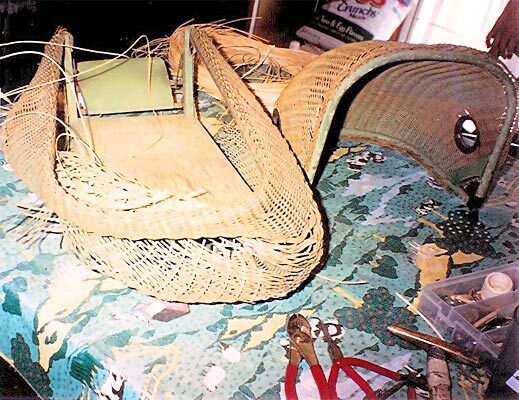 THE SIDE, FRONT SKIRT WEAVE AND SPOKES WERE REPAIRED. 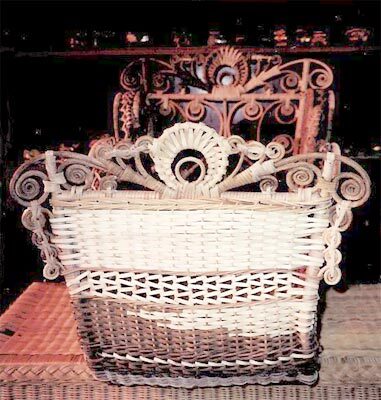 (11) ❤︎ VICTORIAN NATURAL MATCHED 1880’S WOOD–REED WICKER ROCKERS. SERPENTINE–ROLLED ARMS. 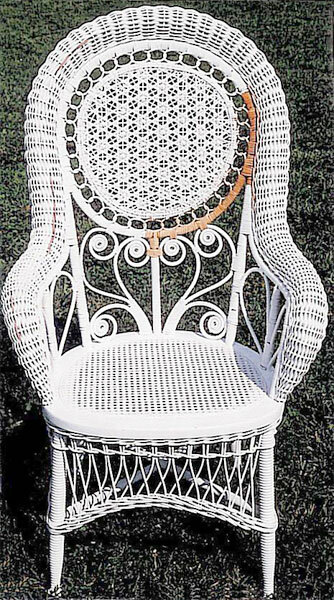 WE RESTORED THE ARMS, CURLY CUE’S, NEW BEADS AND SEAT WEAVE. (12)❤︎ DIFFERENT TYPES OF LABELS. DON’T EVER PAINT OVER OR DESTROY, THEY MAKE YOUR PIECE MORE VALUABLE. (13) ❤︎ A NATURAL PINEAPPLE–RATTLE FOOT. CAN BE PAPER-WILLOW- WOOD / REED. WE RE-DID AND STAINED. (14) ❤︎ A POLISHED METAL–BRASS LEG CAP. THEY ARE USUALLY PAINTED AND NEED TO BE POLISHED. THEY ARE REALLY PRETTY ALL SHINNY!! 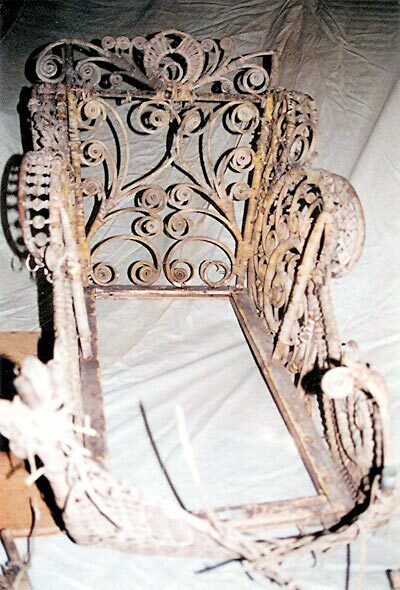 (15) ❤︎ A FANCY WALNUT CHAIR. 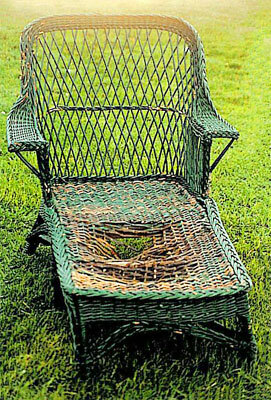 HOLE CANE SEAT AND BACK. YOU CAN TELL BY THE HOLES DRILLED IN THE WOOD ALL THE WAY THRU THE WOOD. 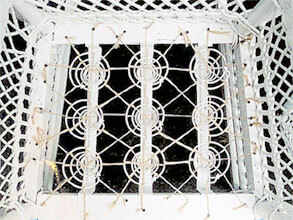 THERE IS ALSO A BLIND HOLE WEAVE WHICH IS WOVEN INTO HOLES. THESE HOLES DO NOT GO ALL THE WAY THRU. 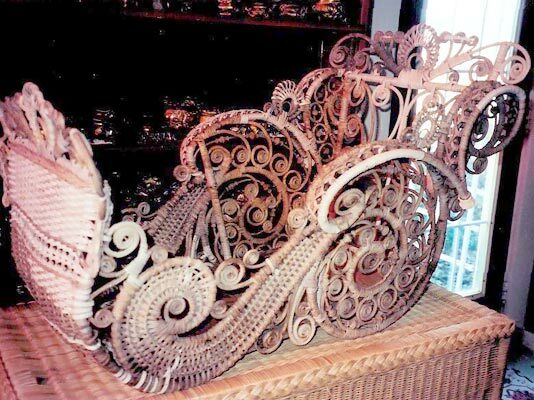 USUALLY USED IN THE BACK OF A CHAIR OR ROCKER, ETC. 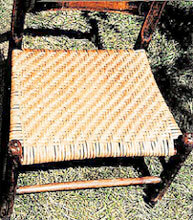 (16) ❤︎ PRESSED CANE SEAT. YOU CAN TELL BY THE GROOVE–CHANNEL IN THE SEAT FRAME. 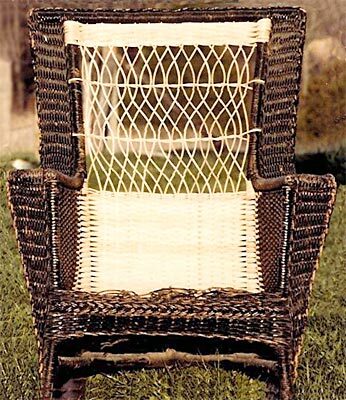 YOU CAN HAVE YOUR CHOICE OF SOLID WEAVE PATTERN OR THE WOVEN HOLE CANE PATTERN. 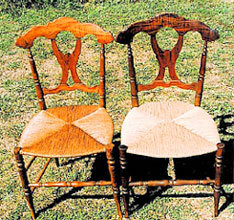 I PREFER TO USE SOLID WHEN THERE IS A LOT OF OPEN FANCY WEAVE, AND HOLE CANE PATTERN WHEN THE OTHER WEAVE IS SOLID. 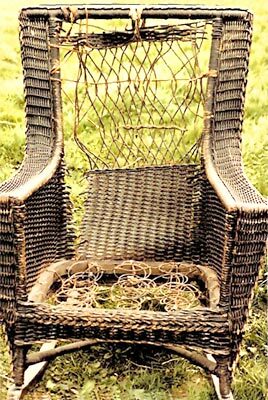 (17) ❤︎ SHABBY CHIC OLD PORCH ROCKER WITH SPLINT WEAVE IN THE SEAT AND BACK. WE STAINED IT. 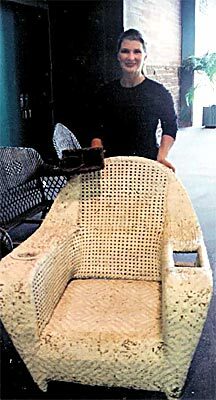 (18) ❤︎PRESSED BOARD OR LEATHER SEAT. THIS TYPE IS USED WHEN THERE IS NO DEEP GROOVE–CHANNEL IN THE SEAT FRAME OR HOLES DRILLED ALL THE WAY THRU. THIS HAS A LITTLE ONE SIDED GROOVE THAT THE INSERT FITS DOWN INTO. THERE ARE SEVERAL PATTERNS TO CHOOSE FROM. THEY ARE APPLIED WITH DIFFERENT TYPES OF TACKS AND FINISHED.